Having worked with 24 Carrots for several years and on previous large-scale campaigns, we were excited to have the opportunity to once again drive the strategy and creative for their 2016 brand campaign. To kick it off, we dove deep into the target audience, goals and media channels — including print and digital. We didn’t overlook print as it’s still a strong media channel to reach 24 Carrots’ core audience. 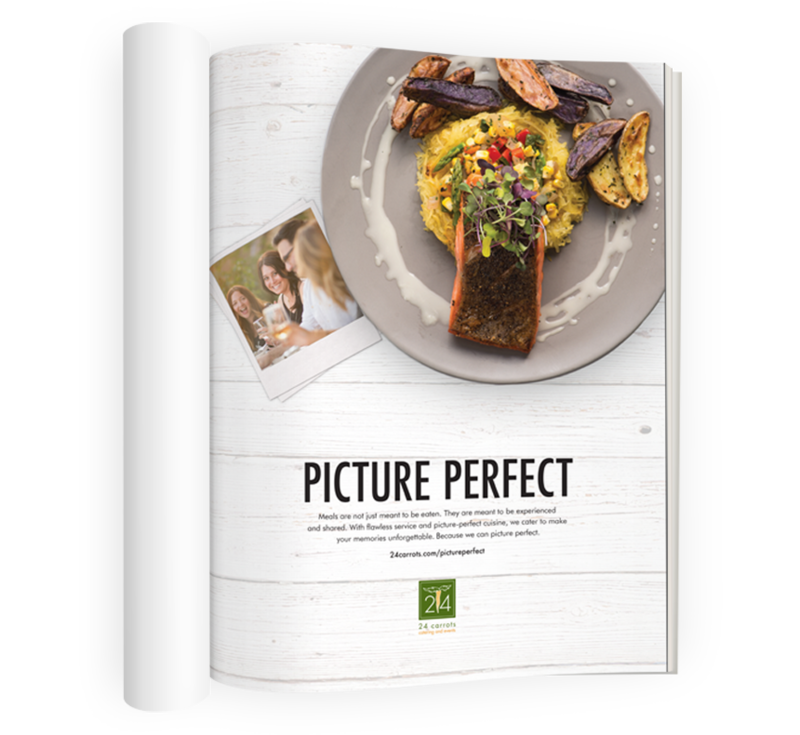 With this in mind, we worked with 24 Carrots to handpick online outlets to help cast a wider geographic net and industry print publications to drive awareness and business at a local level. Once the strategy was nailed and we had an approved brief in place, we moved to creative research, ideation and development. This was really the heart of the creative journey for us. 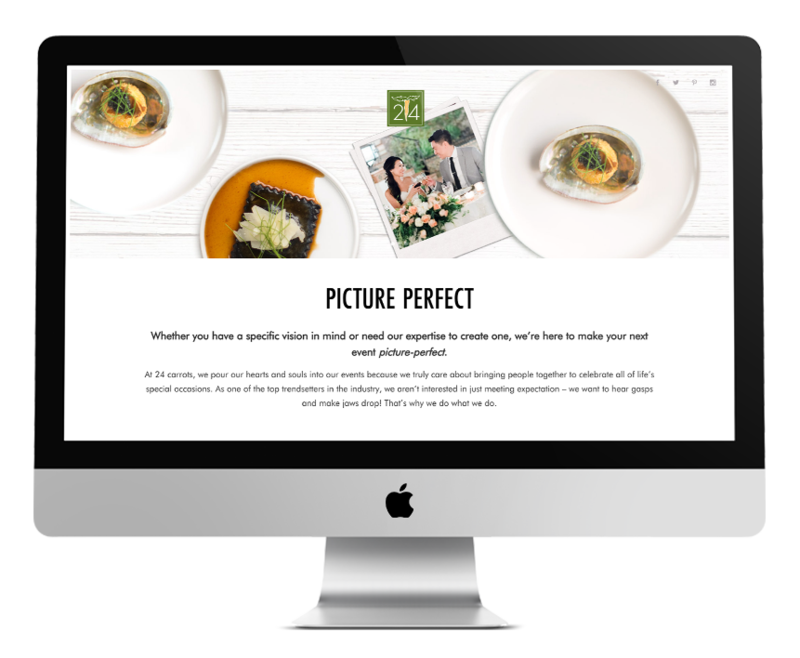 The PICTURE PERFECT name and concept were born out of the desire to communicate 24 carrots exceptional experience, creativity and signature “concierge-like” service. 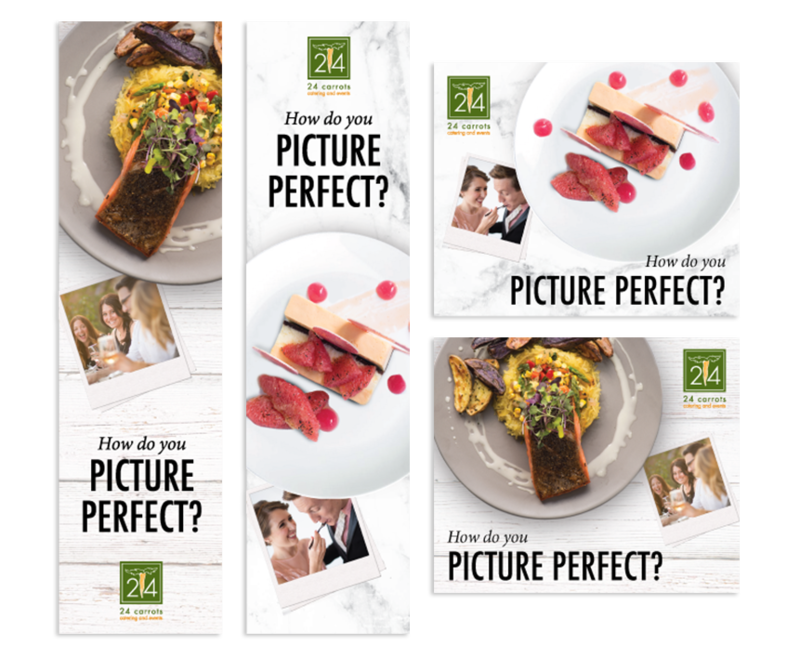 The art direction for PICTURE PERFECT included a very modern, clean aesthetic to ensure that the ads would standout from other advertisers, while also highlighting the food and emotion as the focal point of the artwork. For campaign photography, we opted to use organic surfaces, such as a whitewashed table or marble counter. We then incorporated a plate of food paired with a polaroid photo to tell a deeper story and inspire an emotional connection. 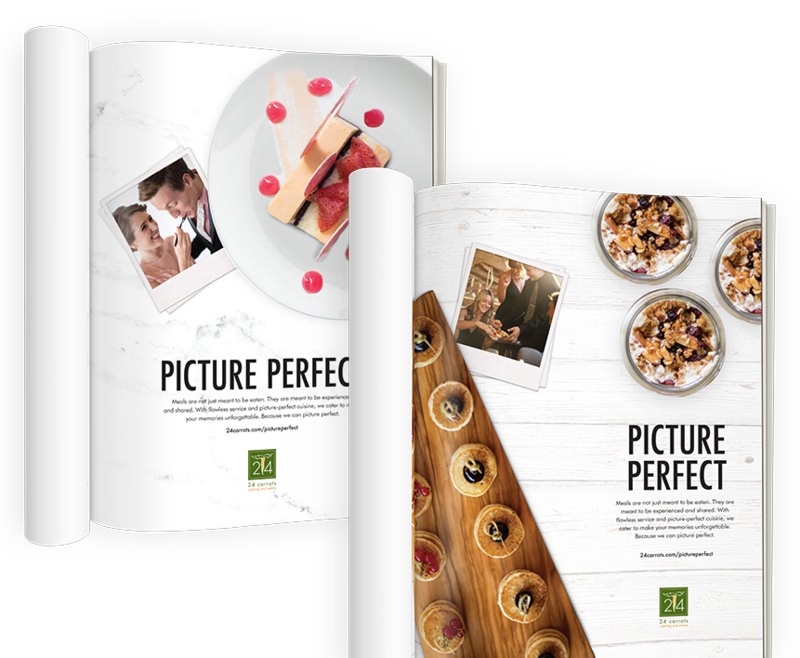 Once all campaign imagery was selected and approved, we developed a full set of deliverables — from print and digital ads to landing pages and social media assets. 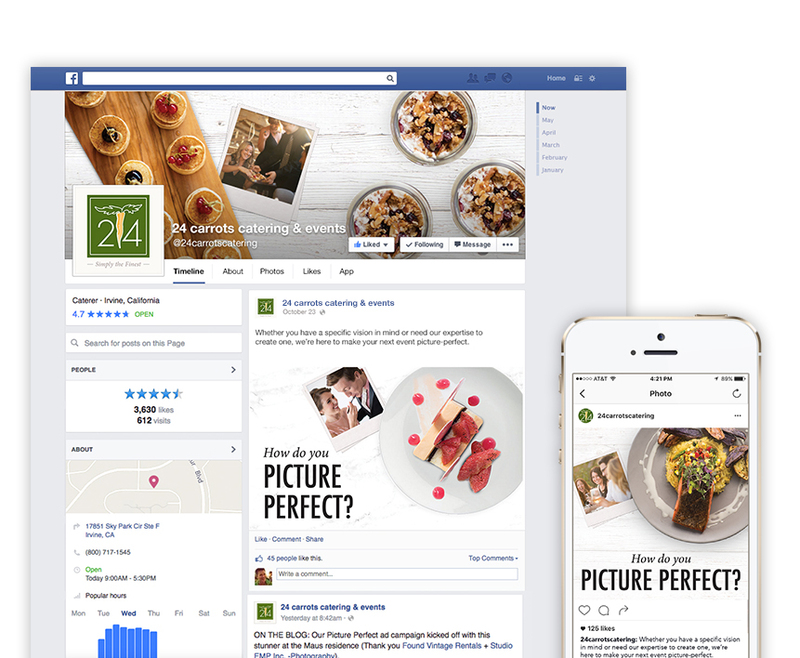 All campaign touch points were consistent and strategically integrated to create a cohesive customer journey.